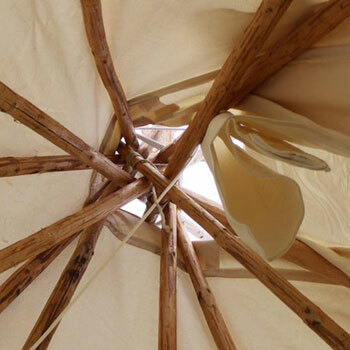 WATERLOO – Wilfrid Laurier University will host the third annual Indigenist Research Symposium on Dec. 5 from 8 a.m. until 5 p.m. in the Senate and Board Chamber on Laurier’s Waterloo campus. The full-day conference will focus on Indigenous research by current Laurier Indigenous graduate students. Guests will hear from keynote speaker Allan Downey, chair of the Indigenous studies program and an assistant professor at McGill University, who will speak about the history of Indigenous identity formation and nationhood. Downey graduated from Laurier in 2014 with a PhD in history and was recently named one of Laurier’s 30 in 30 by the Graduate Students' Association, an award that recognizes former or current graduate students who exemplify a life of leadership and purpose. Best, who recently completed her master’s degree in history at Laurier, studies 1970s Indigenous activism in Western Canada, which has influenced her artwork and the art installation she will discuss. Best identifies as Metis and is currently employed with the Laurier Indigenous Student Centre with plans to pursue a PhD in history starting next September. Best’s art installation will be on display in the Laurier library from Dec. 4 until Feb. 9 and is made possible by the Graduate Students' Association. Currently working toward his PhD in history at Laurier, Groat researches the Historic Sites and Monuments Board of Canada and the social or political factors that determine the inscription of National Historic Sites. He is the author of the book Canadian Stories, which features his interviews with well-known Canadians including former prime ministers Paul Martin and Kim Campbell, actor Dan Aykroyd and former news anchor Peter Mansbridge. Groat is Mohawk from Six Nations of the Grand River Territory. An assistant professor in Laurier’s Faculty of Social Work, Leduc will discuss his new book, A Canadian Climate of Mind: Passages from Fur to Energy and Beyond. Leduc engages the Two Row Wampum to look at the colonial roots of today’s climate change-energy issues, which are reconsidered as a spiritual initiation into healing the pain of disconnection at the root of modern culture. Leduc has worked as a social worker in northern Indigenous communities and as an urban land-based educator. Currently a PhD candidate in history at Laurier, Stace studies Canadian labour history. He is a member of the Little Grand Rapids First Nation and is the project coordinator of the Indigenous Labour History Project, an initiative of the Alberta Labour History Institute. Register for the Indigenist Research Symposium. For questions please contact Corri Arnold at carnold@wlu.ca.